"You can't cheat the grind. It knows how much you have invested, it won't give you anything you haven't worked for." 25 Burpees *If needed, substitute a kettlebell for the dumbbell. **If equipment is limited and kettlebells/dumbbells are not available, substitute a 95lbs/65lbs barbell. Push the pace on both movements today. 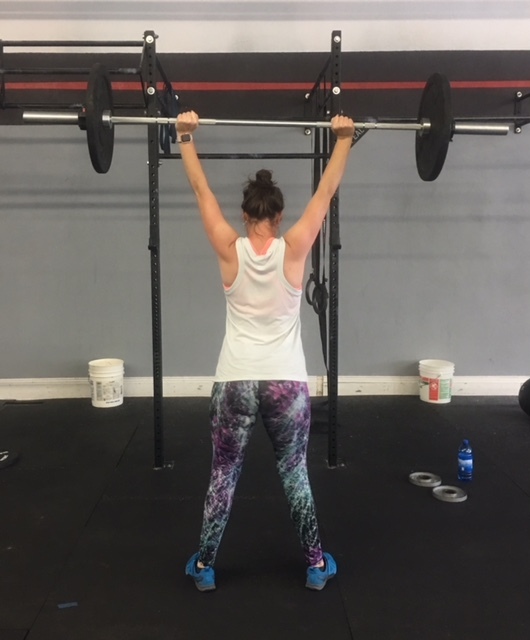 The single arm dumbbell overhead squat is a challenging movement that requires focus, use a load that allows for the first round of 25 reps to be completed in no more than 2 sets. *Or use a load that allows for the reps to be completed with no more than 1 break on the first round. Burpees *If the single arm overhead squat is very difficult to perform with any range of motion than substitute a kettlebell or dumbbell front squat for today. Band distraction (shoulder) + arm up and over.